I'm tired of seeing other creatures be really "dogs" dressed up. Let's get imaginative, people. I mean, I get why filmmakers and writers do it. Dogs are very common pets, so we relate to them and their behaviors, often on a personal level. 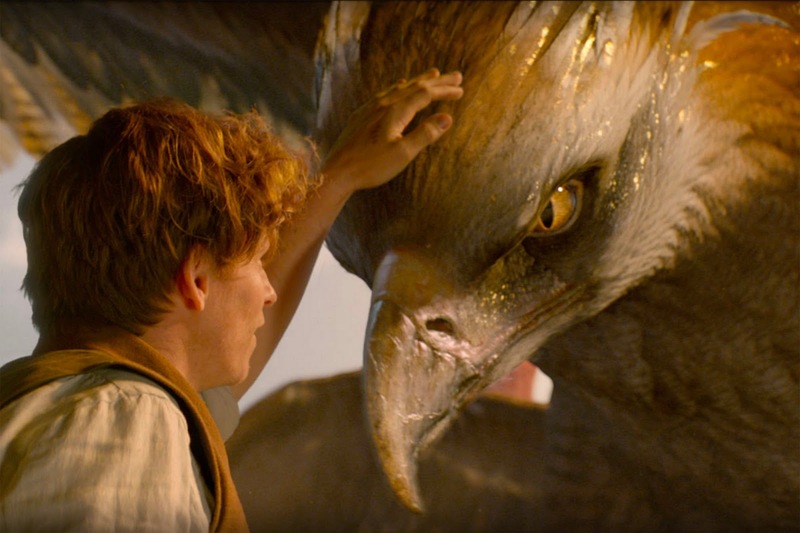 But THANK YOU J.K. Rowling for not giving us yet another dog -_- and giving us creatures with unique, yet still relateable demeanors. And guess what? You don't have to show a tail wagging or a scampering bow-wow to make a creature relateable. The reality is, we've all seen and encountered a variety of animals and animal behaviors. Nifflers love shiny things. Cool. So do most birds. Cockatiels will sometimes try to steal earrings or jewelry off you. Mine has pecked off all the sparkles on my sandals before I could wear them twice. But guess what? The Niffler wasn't a bird in a Niffler body either. It had its own personality and body language. So you don't have to make your beast a dog to be relateable. Dogs aren't the only ones with endearing behaviors. Cats aren't the only others. 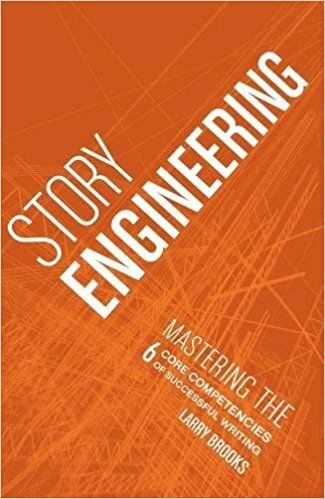 Brainstorm fresh but relateable behaviors and figure out how to implement them in your creatures, without making your creature an exact copy. It's probably a good idea to also give them a behavior that is more foreign and alien. 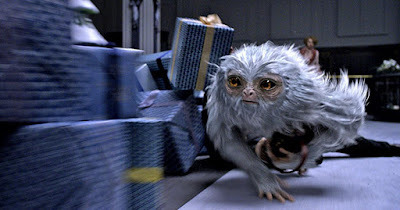 The Demiguise may resemble a monkey, but it can see into the near-future based on probability--no real animal does that. It also gives you something unique to play with. That, paired with their invisibility, make Demiguises very difficult to find and catch. Don't forget that one of the draws for fantastic creatures is a sense of wonder (or in some cases, horror). After you have some behaviors (and abilities), you'll want to see how you can take advantage of them for interesting effect and possible conflicts. 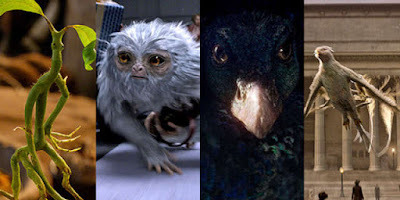 Fantastic Beasts did a great job of taking advantage of a variety of animal behaviors and abilities. I mentioned that in my review, but really, guys--really. I talked about the Niffler and Bowtruckle above, but notice how each created a different kind of conflict? 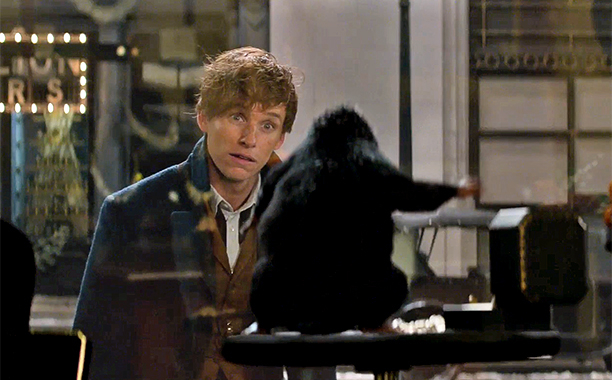 Chasing and trying to catch the Niffler is a nightmare! When Newt had to bargain with that goblin over Picket, it created a personal conflict of pain, because we knew how attached Picket was to Newt (k, am I the only one who totally fell in love with Eddie Redmayne's rendition of Newt taking a moment to wipe his eyes and nose at that part, but soldiering on? It was perfection). But what would animals be without their whacky mating behaviors? We've probably all seen some weird ones on the Discovery channel. And the movie took advantage of that too, to create conflict. And of course it's with an animal that can blow up. In fact, one of the reasons Erumpents are so rare is because the males frequently explode each during mating season. 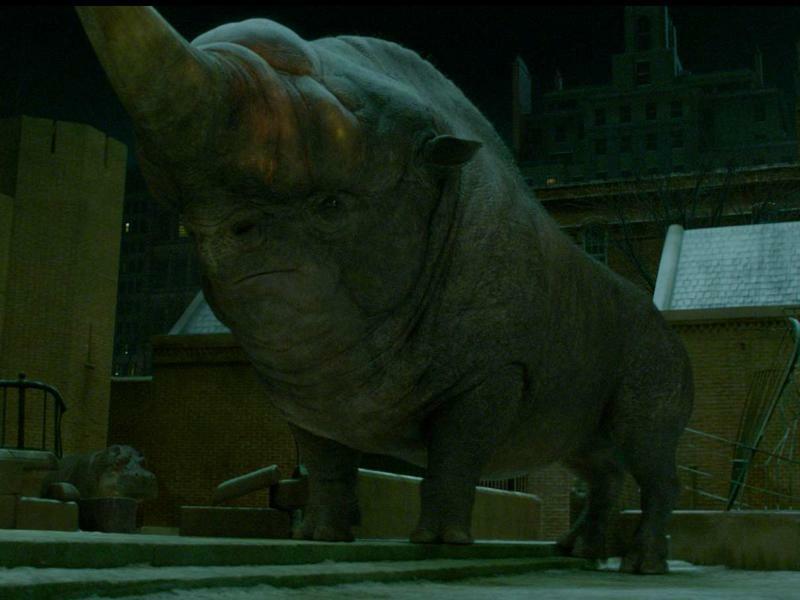 The Occamy grows or shrinks to fit available space and Rowling took advantage of that too, having one grow to a huge size, which left the characters with the struggle of finding and getting it into something that would shrink it. The concept that certain animals grow to fit their habitat is nothing new, people claim fish and serpents do the same (which many argue against), so Rowling took that idea and brought it to the next level. And it had cool factor too. Oh yeah, and again, let's not forget the one that was invisible. Not all dogs have the same personality. Not even dogs of the same breed. Neither do fish. I keep an aquarium and I'll tell you that even fish have different personalities. I had an algae eater once that was shy and would never want to go out and get food when all the other fish were eating it. The algae eater I have now is the exact opposite. It chases off all the other fish (and frog) from the food so it can eat it all. My parents have two dogs. One hates toys that have the texture of rubber. She'll drop them as soon as she "gets" them. The other loves them. Picket is attached to Newt. The other Bowtruckles aren't. 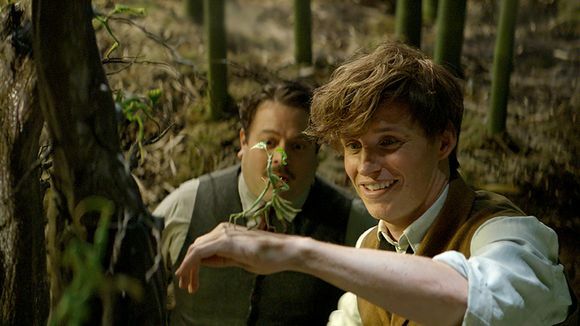 When talking about the Erumpent, Newt acknowledges its own individuality. "Erumpent musk," Newt says, "she's mad for it." Sure, all female Erumpents will be attracted to it, but his tone of voice suggests that perhaps this one in particular likes it intensely. Your creature characters shouldn't function as mere tools or possessions. Even the Swooping Evil, which is used awesomely and cleverly as an object, exhibits its own loyalty to Newt in choosing to listen to him over its yearning to eat brains. Consider giving your creature a "factor"
I touched on this earlier, but with made-up creatures, it can be a great idea to give them a cool factor. The Swooping Evil is freaking cool. It's like a yo-yo pokemon butterfly with a skull (by the way, notice that complex contradiction? A butterfly creature? With a skull head?). But it also creates a sense of wonder or horror in that it likes to eat people's brains. 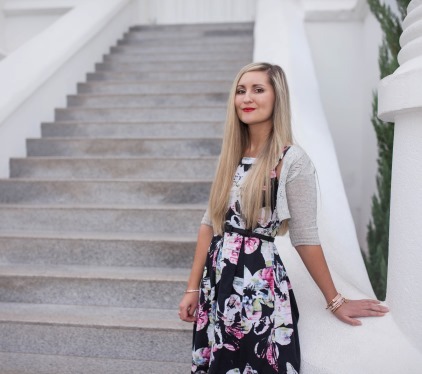 I sometimes talk about the cool factor on my blog, but the reality is you can have other "factors" too. Frank the Thunderbird has a cool factor, but it's kind of more of a "wow" factor. It's a creature that audiences watch with a sense of awe. Not only is he gorgeous, but he's majestic too. You can have a cute factor. The Niffler is a perfect example of this. I saw the movie twice opening weekend, and both times the audience squealed over its cuteness, and online people are talking about how they wish they could buy one. You can have a horror factor. While this one didn't technically come from a beast, the obscurus had a horror factor. You could give one to a creature too. Just look at Aragog. Basically a factor is a strong feeling that your creature elicits. If it's cool, it needs to be really cool. If it's wow, it needs to be really wow. If it's cute, it needs to be really cute. Not all creatures are beautiful. Not all creatures are ugly. One thing I appreciate in Fantastic Beasts is that not all the creatures are naturally beautiful. No one is going to say the Erumpent is as beautiful as the Thunderbird. Some of the animals aren't pretty. In fact, I think the graphorns are a bit gross and creepy. 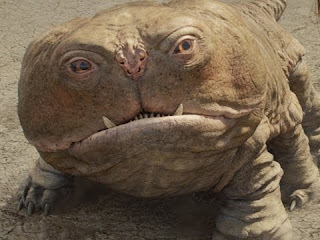 But not all the creatures are ugly either. It seems like in some stories, all the creatures are in the same range of appearance. Even places in the world that are all desert have different looking animals. You can find rabbits in the same area as horny toads. Tarantulas in the same areas as hawks--they both look very different. In some stories, because the planet has all the same landscape, the creators make the creatures all similar, but I'm not sure that's realistic. So look for variety. Remember my point about dogs being in other bodies? The reverse of this seems to be true too. Creatures that look like other creatures, but have a different interior. It's nice to try to imagine something more unique, something no one has imagined up before, but here's the catch. In the written word, you can't really do that, and you can't do it easily. How do you describe something completely foreign to your reader? It's kind of like describing red to a blind person. Visual mediums are different. You just show it. But with books, all we have is our words and we rely on the audience's imagination and experience to fill what we suggest. Also, if you try to describe something that the reader has never seen before, it can take a lot of space and slow the pacing way down. One way people explain something foreign is by making comparisons, so you get a lot of sentence like, "a body like a horse with feet like a duck." The audience may literally envision a body of a horse with literal feet of a duck, when the writer sees them as something more cohesive but finds this the best way to describe them. I feel like this sort of thing may have happened with the thestrals in Harry Potter. When the Order of the Phoenix movie came out, I thought the thestrals looked just how they were described in the book, but many felt differently. Here's the passage again for your judgement, read and pay attention to the whole thing. If he had had to give them a name, he supposed he would have called them horses, though there was something reptilian about them, too. They were completely fleshless, their black coats clinging to their skeletons, of which every bone was visible. Their heads were dragonish, and their pupil-less eyes white and staring. Wings sprouted from each wither — vast, black leathery wings that looked as though they ought to belong to giant bats. Standing still and quiet in the gathering gloom, the creatures looked eerie and sinister. 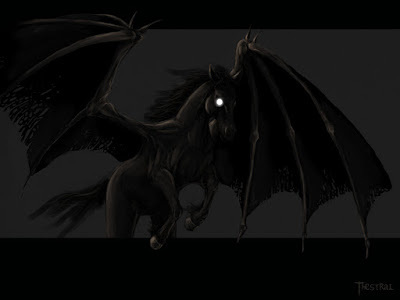 But yet, even though we get the hesitancy in comparing them to horses ("If he had to give them a name, he supposed he would have called them horses"), pre-movie, people were literally imagining them as horses with bat wings. So even when trying to create something different, your audience is going to fill in what they imagine. But you usually can't leave comparisons out altogether either, because it makes it too difficult to imagine, too much work. 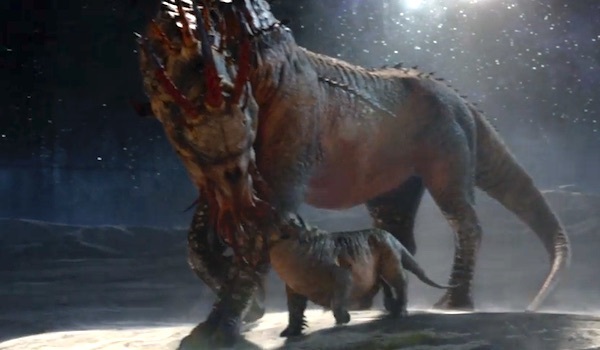 So you'll notice that perhaps apart from the graphorn, most all the other creatures look similar to something else. There's not really a way around it, so it's not necessarily a bad thing, but something to keep in mind as a writer. Good luck creating your own fantastic creatures. Love this article. Creating species for my world has been so much fun! This was amazing! It really helps!